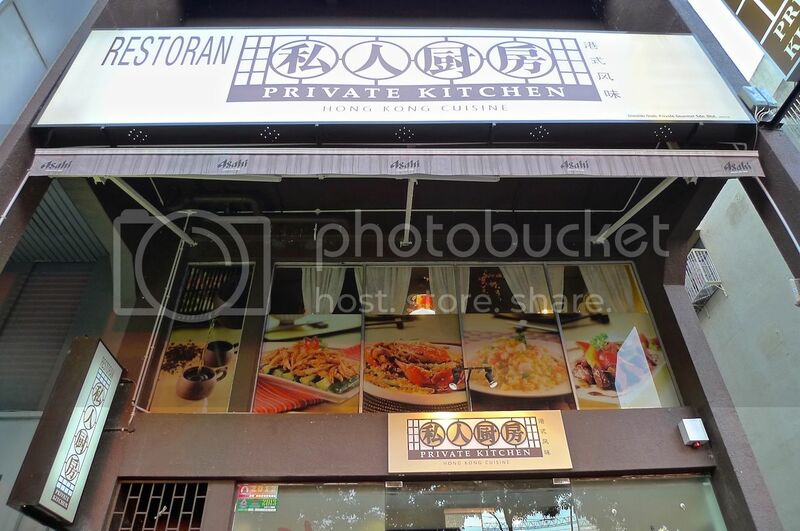 During Chinese New Year eve last Saturday, my family and I had a reunion dinner at Private Kitchen which specializes in Hong Kong cuisine in Damansara Uptown. There were two dining sessions that evening - the first session was from 5.30pm till 7.30pm whereas the second session was from 8pm till 10pm. We chose the first session. Private Kitchen has 2 set menus for the reunion dinner - Set A priced at RM318.00+ (for 4-6 pax) and Set B priced at RM688.00+ (for 8-10 pax). As there were 12 of us, we went for Set B. 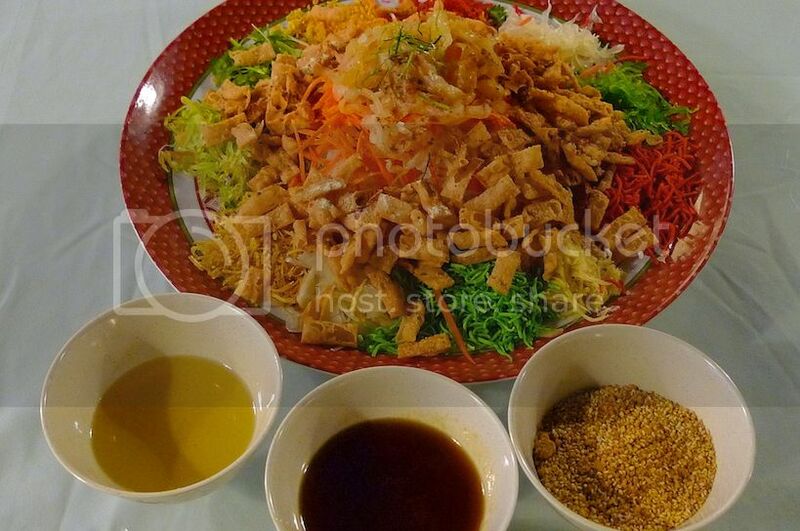 We started with the must-have yee sang. This was not included in the Set menu so we had to pay an additional RM68 for it. Since some of my family members do not eat raw salmon, we opted for the jellyfish yee sang instead. 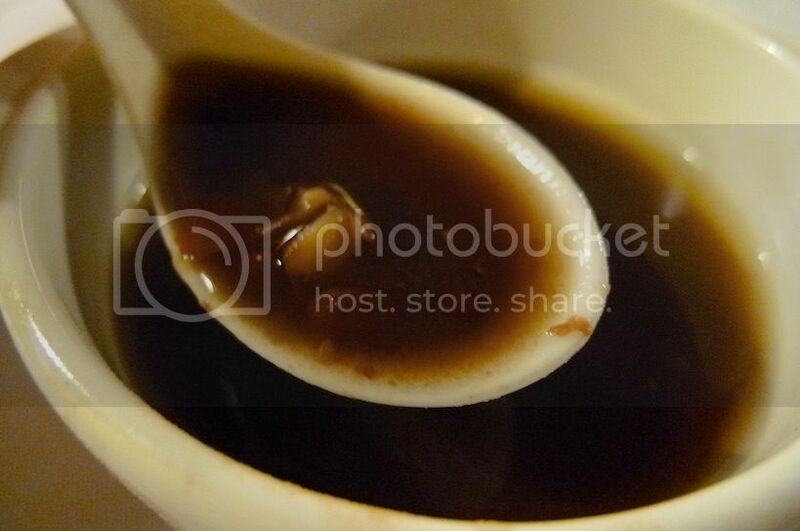 We poured all the plum sauce and sesame seeds into the mix and only added a little oil. It was quite delicious! However, I found the ingredients not finely cut and I was wondering why. 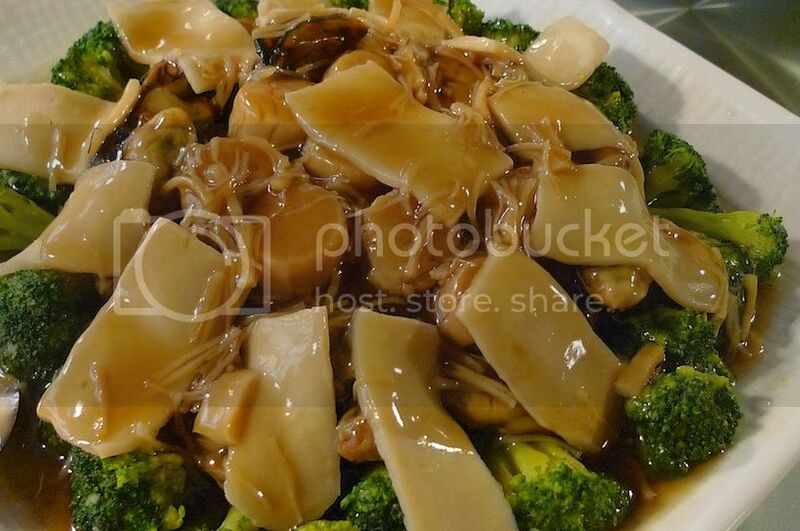 Next, we had braised dried scallops, sliced abalone, dried oysters with black mushroom, fatt choy and vegetables. I like this dish! The dishes came out quite fast and I could not remember which ones came first so I would just show them in random order. 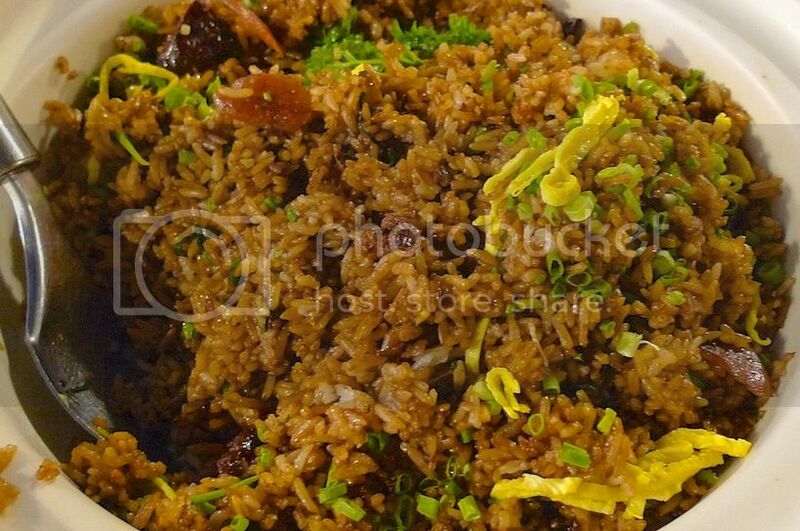 This is the fried rice with preserved meats and mushrooms. Not bad. 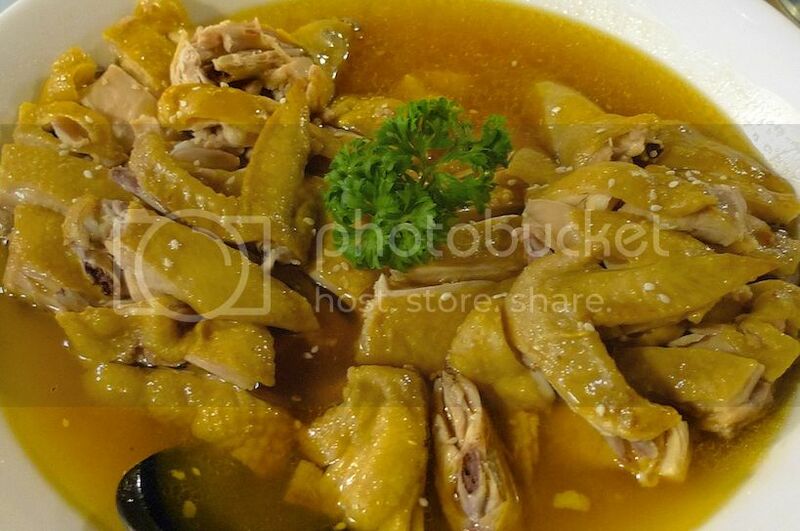 Their famous golden sand ginger chicken. I had eaten their golden sand ginger chicken before which was very delicious - the chicken meat was tender and the ginger not overpowering - but somehow it was not up to standard that evening. 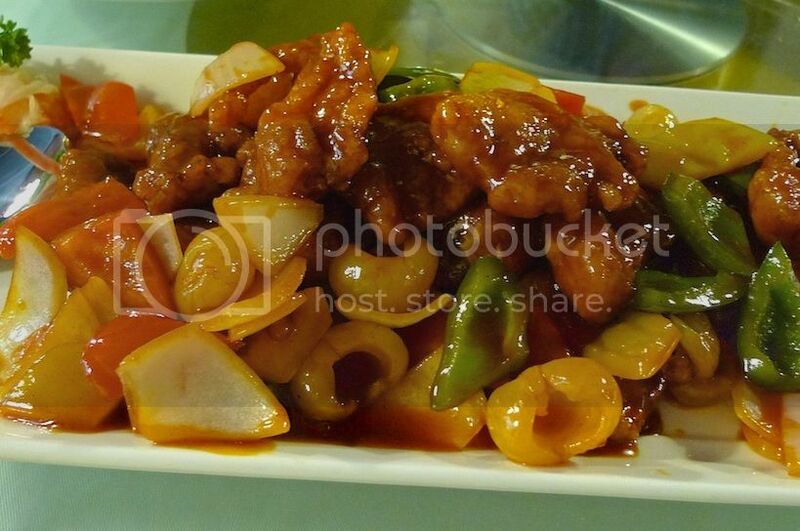 Sweet and sour pork ribs with crispy honey and longan. This one was pretty good! I like the longan pairing with the pork ribs. 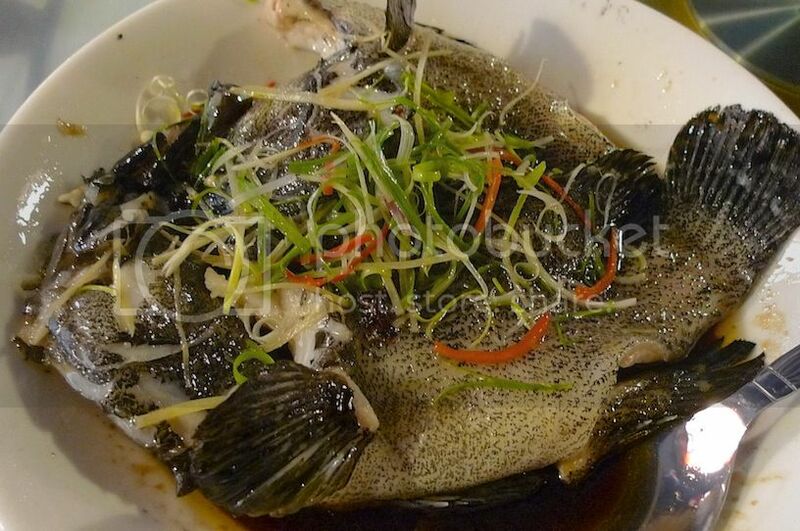 Steamed tiger garoupa in supreme soy sauce. Yummy! 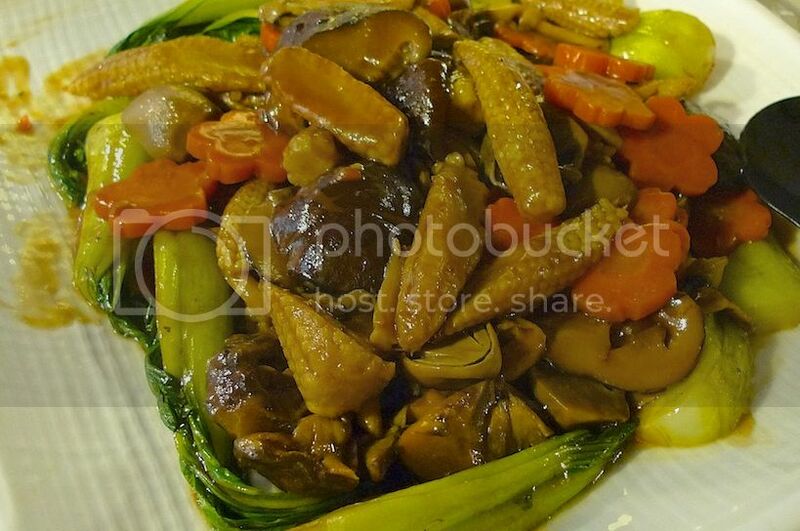 Braised abalone mushrooms and five treasures vegetables. Not my favorite, but it's OK. 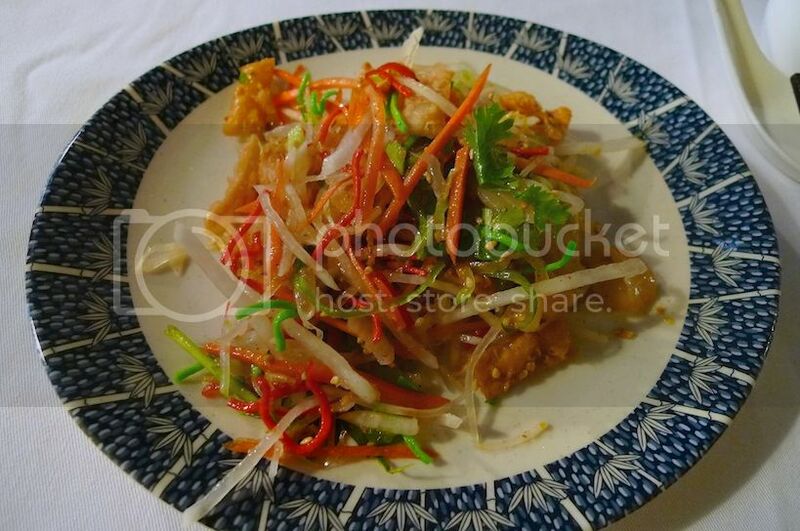 Deep fried prawns in spicy sauce. 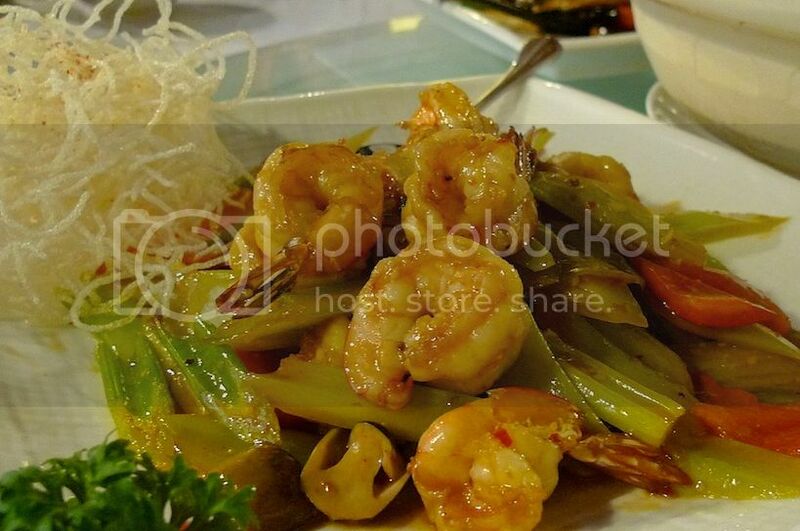 Love the fresh juicy prawns! Not sure why they call it deep fried. Lastly, we had dessert in the form of sweetened red bean cream with lotus. This was average. I had eaten better elsewhere. 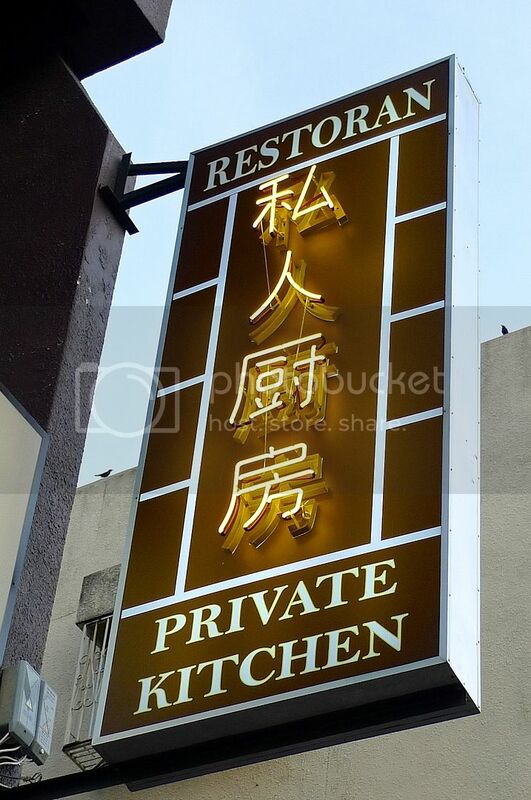 Having eaten at this restaurant before, I found the dinner that evening not up to my expectation. Perhaps that is to be expected on a busy reunion dinner? Or maybe the Hong Kong chef had flown back to Hong Kong for the Chinese New Year holidays? I also had the feeling that they were rushing us. The dishes came out too fast. I felt hurried. Oh well, it was still a pretty good dinner nevertheless.